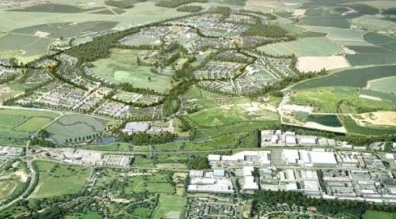 HARLOW and Gilston Garden Town has launched its Vision and Design Guide documents, detailing its aspirations and transformation plans for this exciting and unique project. The purpose of Vision and Design Guide documents is to set out the expectations and requirements that need to be met by developers to ensure the delivery of good quality villages and neighbourhoods, homes, jobs and infrastructure for new and existing residents. These guides will be used as a material planning consideration when considering planning applications/proposals and masterplans, and will provide assurances to communities and businesses about what they should expect from Garden Town developments. East Herts, Epping Forest and Harlow District Councils, along with Essex and Hertfordshire County Councils and wider stakeholders, are working closely together to create something really special. Building on the Garden City principles, the Garden Town will deliver well designed homes that will complement the natural environment, embrace new technology, enable residents and workers to travel by foot, bicycle and public transport in and around Harlow on high quality routes and harness the existing opportunities of the high quality employment coming to the Science Park, Enterprise Zone and Public Health England headquarters. These two documents will form part of the basis for considering all development proposals within the Garden Town, to ensure that the Garden Town Vision is realised. “Publication of the Garden Town Vision & Design Guide marks an important milestone in the journey to realise the Garden Town. The five Councils have embraced a common ambition and a set of objectives that will create neighbourhoods and villages where thriving communities can live and work.